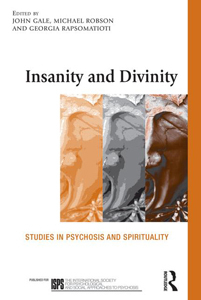 Written by Jack Rosberg, Ph.D.
Rick is an example of a person whose schizophrenic defenses have become so ineffective that they are on the verge of breaking down. Rick, a patient with a 15 year history of psychosis, is on the edge of falling again into an acute psychotic episode. Many clinicians would try to build up his defenses. That is, they would allow him to maintain his delusional posture until enough anxiety had been reduced so that he felt comfortable with his psychosis. Unfortunately, this approach typically reinforces the patient's resistance to treatment because it supports the delusional transference. 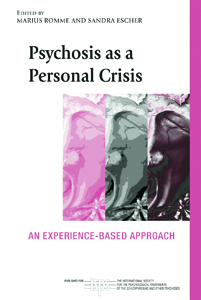 It is often better to deal with the delusional transference directly and view the acute episode which may result as an opportunity to restructure the patient's psychotic defensive patterns. In this session, we also see vivid examples of the use of aggression by the therapist against the aggression of the patient. This treatment tool was described some time ago by Carl Whitaker and Thomas Malone. Nevertheless, despite its clinical effectiveness, it has been almost totally neglected. This approach permits the therapist to use a combined power of words and feelings to shock the patient into a more reality oriented position. It is not surprising that therapists have chosen to ignore this intervention or have not been trained in how best to include it in their repertoire. Most training centers teach psychotherapists to choose their words carefully and not to reveal their feelings to their patients. They become afraid of making mistakes, of offending their patients, or of counter transferring. 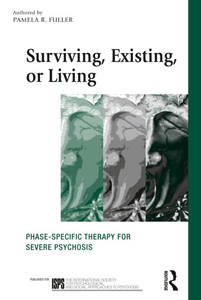 As a result, therapists are reluctant to risk and try approaches which are outside of their familiar therapeutic framework. However, if we think about it rationally, we must acknowledge that the only method we have to change human behavior is to use spoken symbols containing both information and feelings. Because this is true, the problem faced by each therapist in treating a patient is always which words and feelings to use in which situation. Certainly addressing this puzzle also raises questions about the morals, ethics and values, inherent in the practice of psychotherapy. And, we must also remember that these ethical beliefs influence every decision the therapist makes in the treatment process. Notwithstanding, the relative importance of these philosophical conundrums, it is imperative that the therapists approach, their solution from the point of view of how best to serve the patient. When we do this, we can appreciate how such tactics as were used with Rick can be beneficial. 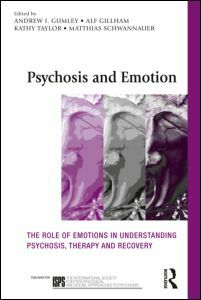 If we can grasp that our words and feelings will impact our patients so that an opening can be established in their psychotic armor, then we can significantly improve our chances of creating a patient who is susceptible to therapeutic change. I began this session with Rick demanding that he look at me, demanding that he conform to my expectations. The reason for this is as follows; to make sure he was aware of my presence. I kept touching his head with my hand and it seemed to me, if I could gain enough control over him it would be measured by my ability to get him to look at me. I also knew, there was some potential of violence from him. I needed to know his intentions, his controls and how much impact I could make on him in order to compel him to conform posturally to my demands. I believe it to be critically important to make eye contact with the patient in order to accelerate making that important first step in contacting the patient. In the words of Harry Stack Sullivan, 'You should use any means at your disposal to make contact with the schizophrenic patient.' So I don't mind touching patients in order to accomplish that end. I think that it should be noted that in no sense of the word should this be seen as violating the patient. Rick accused me of being in league with past professionals who he felt betrayed him and were responsible for his current fears and what he considered as being dangerous. I had to contradict this delusional statement and I did by saying emphatically, 'Look at me. I am outraged at what you said. I deeply resent that accusation.' No response came from Rick. I said 'Rick. I see violence in you'. Rick finally said 'And I see violence in you'. I then became angry and aggressively dominated Rick in order to contain his aggression. The words I used are obviously intended to jar the patient.Â What had preceded was a fencing match, where each person was looking for an opening in order to overwhelm the other. Rick struck first, by sarcastically attempting to intimidate me. He leaned forward in his chair in a menacing way and said sarcastically 'What do you want'. He was making an effort to push me away, and in order to deflect his initial blow, I lashed back with verbal aggression of my own which startled Rick into reality. Rick said 'I didn't yell at you, like you yelled at me'. This was the beginning of some kind of relationship between the two of us and the session now proceeded on a different basis. I continued to attack his misperceptions of my intentions. I stated again with emphasis, 'I really resent your antagonism. Who the hell do you think I am?' I was making an effort to separate myself from those professionals who he saw as being in a conspiracy against him. I returned to insisting that he look at me. He then continued to mock me, trying to antagonize me through the use of sarcasm. I ignored this and continued to pursue separating Rick from his psychosis. Distancing him from his psychosis was critical, if a therapeutic alliance was to be formed. When accomplished, it would permit me to restore some of the dignity to Rick that the illness had taken away so that we could begin to talk to each other with respect. As the session progressed, Rick became responsive. I then asked him, why he had accused me of being responsible for his illness. I asked him if he was afraid of me. In an emotional torrent, he revealed more of the delusional material he had been withholding, continuing to blame me for his condition. I would not accept his accusations and insisted on clarification. It is important to recognize that Rick now knew that I was entitled to ask questions and receive answers because I had proven that I had the strength to back it up. I said, 'I intend helping you lose your fears. Nobody is going to hurt you. I'll take care of you and protect you. I know the reasons for your fears, I am not going to add to them, but I want you to look at me. I want you to look at me'. Rick finally got fed up with the continued pressure and said, 'OK, now what do you want to talk about?' Before I could respond, Rick answered his own question. There was another torrent of material as Rick related the emotional pain he experienced while ill. I then challenged Rick to accept my friendship. Rick broke down and began to cry and revealed to me more of his fears. I continued to ask Rick to look at me and I made an effort to focus him on the here and now in order to prevent the restoration of his delusional thinking. I now offered the therapeutic contract. 'Are you willing to make a change?' Rick said, 'Yes'. 'Are you willing to let me help you?' Rick said, 'I don't know.' I accepted this and stated with emphasis, that he should take his time and that he deserved the opportunity to look at me carefully and see whether he could trust me and that he then would no longer be afraid of being betrayed. I continued to reassure Rick and the session ended with my demanding again that Rick comply with my expectations. Rick agreed. This therapeutic exchange was successfully completed in a single session in which the acute episode and the crisis was resolved. The work with Rick continued for approximately one year and he was able to be discharged from treatment with me and go to a follow up treatment program that was less structured.